A wonderfully authentic selection of MIDI keyboard loops from Smash Up The Studio. Truly memorable chord progressions and timeless riffs adorn this great retro collection. Includes MIDI loops designed for all of the classic keyboard instruments of the era. 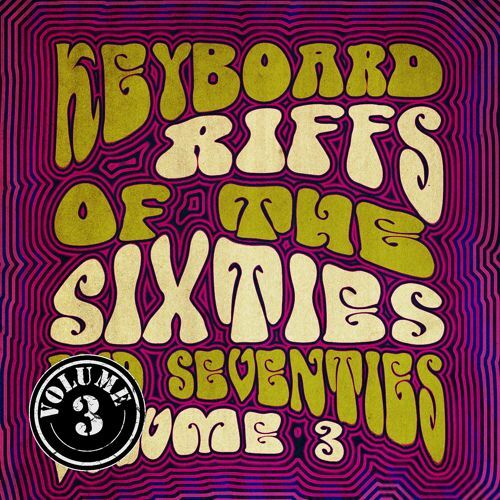 Smash Up The Studio are pleased to present the third volume in their popular series "Keyboard Riffs Of The 60's & 70's" Like It's predecessors this pack places an emphasis on authenticity and contains some stunning performances! From Soul and Funk through to Rock and Pop. All of the classic keyboard instruments are represented here with loops designed for acoustic piano, Fender Rhodes and Wurlitzer electric pianos, clavinet and organ. Each loop contains an 8 or 16 bar original chord progression that could easily be used as the basic chord structure for a song. Some of the loops also come with different variations upon the original theme so you are not just repeating the same loop, and others also have chord changes that could be used as a bridge section or verse etc. We have also included some loops for synthesizer, monophonic and polyphonic and some synth bass lines. All files are named with the instrument used and also the tempo and key info. As with all MIDI loops there are no restrictions, you can choose the sound, alter the tempo and key, even change the notation or groove of the loop to fit your own requirements. Due to the high level of performance, these loops sound great when played back with a wide variety of synths or instrument plug-ins, so let your creativity take over and start experimenting! Please Note: Smash Up The Studio MIDI packs contain MIDI keyboard and instrument loops only. They do not contain drum loops or audio.